This fungal infection goes by the name of tinea pedis. If left untreated, it might spread to the groin, palms, and many other places of the body. This fungus loves to grow in moist and warm places. In this article, we will talk about home remedies for athlete’s foot. The prominent symptoms are itching, peeling of skin, discoloration of toe nails, and blistering. People who are at risk of getting athlete’s foot include those who sweat excessively or wear closed shoes most of the time. People with poor immune system will get Athlete’s foot. It is also more prevalent among men than women. Athlete’s foot is contagious in that it might spread from person to person through contact with contagious surfaces or other infected people. Good skin care and proper hygiene can help you overcome or avoid this infection. Here are the best home remedies for athlete’s foot. Cinnamon is an effective agent for taking care of Athlete’s foot due to its anti-fungal and antiperspirant nature. Find Cinnamon health benefits. Chop up 8-10 sticks of cinnamon and put it into boiling water. Let it simmer for at least 10 minutes. Let the sticks soak in the water for 45 minutes. Once the water has cooled off, soak your feet in the water for half an hour. Then, dry the feet and apply some talcum powder. Do this daily before going to bed at night for at least one month. One of the best methods of treating the Athlete’s foot is by using yogurt. This is a good treatment and effective even if the infection is severe. To kill the fungus, one has to make the yoghurt preparation. The action is due to the acidophilus bacteria that we find in the yogurt. Apply yogurt on foot and let it soak for a while. After it has dried, wash with lukewarm water. You might have to do this at least for three to four weeks for getting good results. You can augment the action of the yogurt by eating it. This will improve the effect and you will be cured of the ailment faster. Vinegar has an acidity of 2 which helps kill the fungus on the foot. This lowers the alkalinity of the skin and due to this the fungus stops growing. Vinegar also helps draw out the moisture in the foot and this helps to cure the ailment faster. Vinegar is a common kitchen ingredient so you can find it at home. This is one of very effective home remedies for athlete’s foot treatment. Take a pan of warm water and add 2-3 cups of vinegar to this. Soak your feet in this mixture for 10-15 minutes each day for one week. By then, the infection will have disappeared. If it persists repeat the process for a few more days. Onion has nutrients but more important, it has anti-fungal, antibiotic, and anti-inflammatory properties. It kills the fungus and prevents it from spreading. Find onion health benefits and nutrition facts. Take two onions and make a paste. Use a strainer to get the juice out. Apply this juice on your feet and leave it to dry for half an hour. Rinse with like warm water and pat dry. Use talcum powder to keep the foot dry. Do this at least two times a day for one month at least. One may use the common garlic found in the kitchen for treating Athlete’s foot. The reason is the ajoene present in garlic helps to fight the fungal growth. You can take this as a supplement or in capsule form also. Crush three pods of garlic and make it into a paste. Apply this past on the foot and in between the toes. Leave it on for ten minutes. Then, wash with lukewarm water and dry. This is one of the fastest cures for Athlete’s foot and the symptoms disappear within a week. Due to the high odor that garlic has, one can use this remedy only when one is at home. You can use baking soda to treat Athlete’s foot. It is commonly available in most of the households. Sprinkle some baking soda inside your shoes between your shoes and your socks or stockings. The baking soda absorbs the moisture inside the shoes. Baking soda has a basicity of 2 which helps to prevent the growth of the fungus. You may also apply the powder directly to the foot. Make a paste with a little water and apply this in between the toes. Wait for a few minutes and then wash it with plain water. Repeat this for three weeks to get rid of the fungal infection. This is one of very effective home remedies for athlete’s foot treatment. All products of neem oil have incredible anti-bacterial and anti-fungal properties. If you are suffering from Athlete’s foot, you can apply some neem oil to the affected area. Do this two to three times a day until the red blisters and other symptoms of the affliction disappear. However, many people avoid using neem oil due to the pungent smell it has. But, they are very effective and help treat the infections that develop under the toenails also. Neem oil helps rejuvenate the skin due to its natural property. It keeps the skin healthy and augments the elasticity so that the skin becomes soft and supple. This helps prevent the recurrence of the ailment. 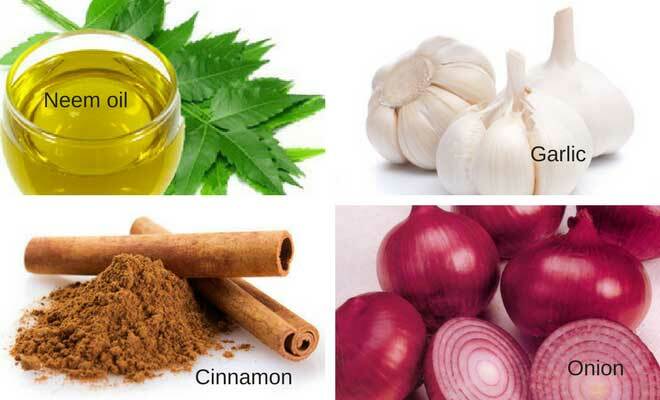 Find neem oil medicinal uses. Use this pure Neem oil for skin problems. The use of essential oils is an age-old remedy for many ailments including Athlete’s foot. You can choose from any of the essential oils such as tea tree oil, oregano essential oil, geranium essential oil, and clove oil among many others. To make your preparation to treat Athlete’s foot, take 2 cups olive oil (you can use sesame oil or almond oil) and a ¼ cup of beeswax pastilles. Add 35 drops of tea tree essential oil and 25 drops of lavender essential oil. Now, add 10 drops each of clove and oregano oils. Heat the olive oil in a double boiler with the beeswax until the entire thing melts. Add the essential oil and stir. Cool it and pour into small tins or glass jars and store. If the infection persists seek medical help. Also, check with the doctor if you notice any untoward reactions to your treatment. Follow these simple but effective home remedies for athlete’s foot and be happy.